Entertainment producers for theatre, TV, video & film. 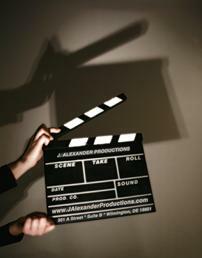 Thanks for visiting J. Alexander Productions! We are a creative, enthusiastic, and passionate group of entertainment misfits who really enjoy perfecting the art of storytelling. Our team has worked in theatre, television, radio, film, casting, and on many commercial projects. * Through our theatre division, we have produced numerous large-scale musical stage productions, client-organized convention shows, and provide talent for special openings, groundbreakings, etc. * Our work in the video market has provided concept through completion media for a multitude of fortune 500 hundred businesses and nonprofit organizations through compliance and human resource training programming. * Our talent management division manages a small, select group of talented individuals who partner with us to help guide and navigate their performance careers. © 2007 - 2018 J. Alexander Productions, LLC. All rights reserved.